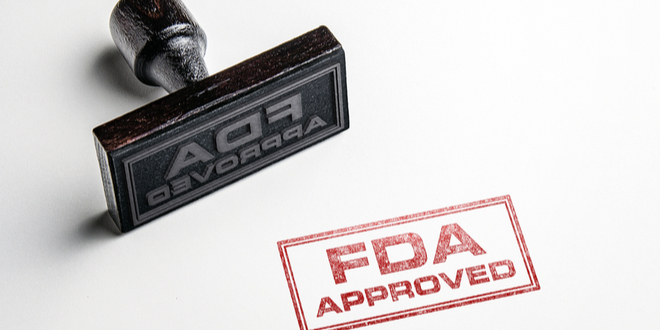 Reports from the U.S. tell us the FDA is continuing to prioritise Proactive Quality Management in the medical device development sector. This has been one of the underlying objectives of the body since at least 2011, when a published report commented on the inadequacy of the ‘inspect and control’ paradigm in raising quality standards across the industry as a whole. At that point the FDA concluded that their inspectors were not ‘going beyond regulations to actively seek out quality issues’, and this was leading to a narrow focus on ‘compliance’ rather than fostering a ‘Culture of Quality’. For those in the UK market, the ‘risk-based’ approach in ISO 13485: 2016 was intended to address just these kind of issues and enshrine its values in industry best practice. Risk-Based-Thinking (RBT) encourages medical device manufacturers to move beyond simply ‘ticking boxes’ to obtain ISO and their CE marking, by embracing the proactive, quality thinking that leads to longer-term, sustained improvement in the quality of all their outputs. RBT is about building a Quality Management System (QMS) that constantly monitors and evaluates risks to quality, mitigating against them through the continuous optimisation of process and procedure. By focusing on the way the QMS itself operates, ISO 13485 seeks to embed these principles in the fabric of the companies who work in the sector. The switch in regulatory emphasis from ‘inspect and control’, to the assessment of Proactive Quality Management, therefore, requires a change in mindset for developers as well as the inspectorate. Instead of just ensuring specific process or procedures are ‘in place’ or simply reacting when products fail to meet a particular standard, RBT encourages a more holistic, company-wide approach to achieving better outcomes. What does a Proactive Quality Management System look like? For medical device manufacturers and others in the high tech sector, building your own lightweight QMS using a proprietary software solution is likely to be the best way to lever the benefits of a proactive approach quickly and efficiently. A lightweight, process driven QMS will give you the tools to help you visualise your business as a connected whole. Through Business Process Mapping it will allow you to break down the steps of all the tasks that your company performs, showing their inputs, dependencies and outputs in a recognisable way. These graphical representations of your business structure and processes are the key to their ongoing optimisation and the ‘visualisation of risk’. They can offer an ‘at a glance’ vision of the way you work, minimising the possibility of error in the replication of tasks and helping you keep your focus on ways to improve. Within this system, omissions, risks and opportunities can all be laid out simply and graphically, helping you identify potential problems and identify new solutions. The right QMS will also automatically prompt you to review process and procedure at regular intervals to ensure they are always delivering quality in the way they should. While the FDA recently sought to incentivise adoption of a ‘proactive approach to quality’ in a widely reported pilot scheme, it’s worth remembering that the proactive approach to QM has many benefits for the bottom line of a business as well as their end users. In fact, one of the stated objectives of ISO 13485’s embrace of RBT is to lever more opportunities for businesses by eliminating waste and driving efficiencies. In many areas of business, the cost of cleaning up after a mistake has been made is nearly always larger than the cost of preventing the mistake occurring in the first place. High tech development is no exception. Proactive Quality Management promises reduced overheads, higher production yields, less regulatory interference, more efficient auditing and less wasted resource from scrapped projects. It gives confidence to current and future investors that your business is geared around quality and continually guarding against disruptive risk. As regulators around the world look to encourage a more thoroughgoing, holistic approach to Quality Management, so the opportunities increase for developers to become leaner, more effective, and more profitable.